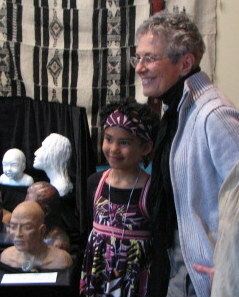 A chance encounter with clay, during a three semester study of visual art, at Vermont College, changed my life. Since the summer of '96 I have read, dreamed, worked, talked, and been moved by clay; what it can do for me, what I have learned from it, and what I can do with it. It is no surprise to me that dancer, ceramicist Paulus Berensohn describes this process as dance, for this is how I experience it. AMAZING! - this inert substance, that makes me feel so alive.